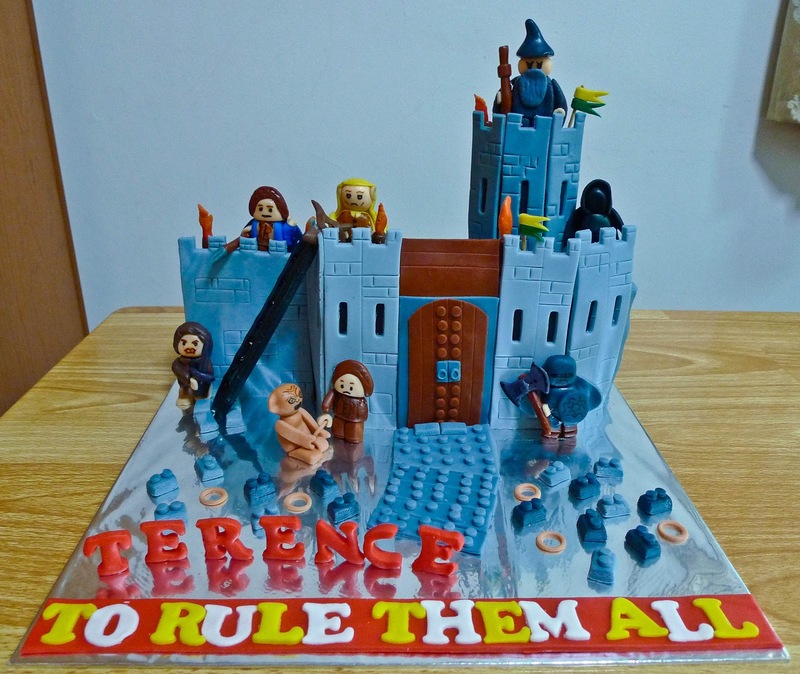 This was a 15cm high castle Lord of the Rings Lego Cake. Any lower and it would have made my LOTR figurines look severely out of proportion to the castle. I must say this is one of the more challenging cakes I’ve attempted. Firstly, measurement wise, it was a nightmare. 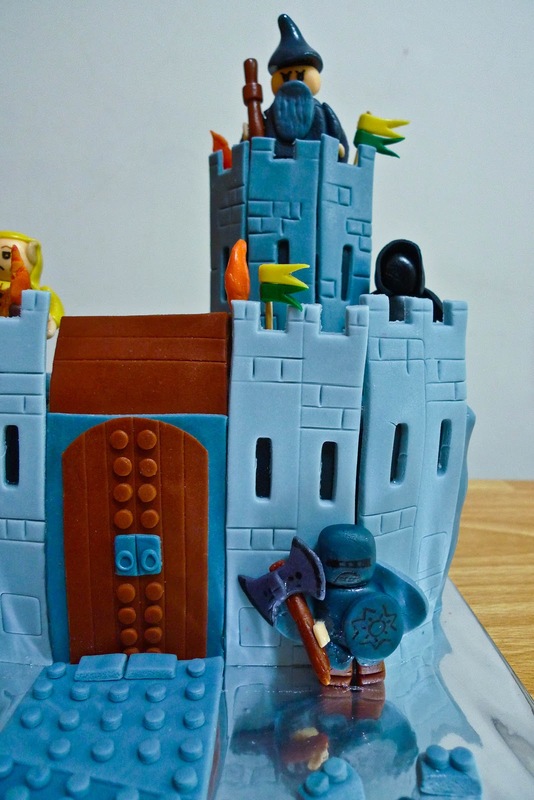 Constructing a castle cake meant taking into account the height and width. Even worse, if they quoted you a maximum weight to work with. Secondly, I didn’t know there were so many characters in LOTR and with each its own personality and details. Thirdly, the lego characters were miniature, without a stable base, so making them stand was a major concern for me. Every moment from making the cake to delivery, I just prayed that the entire cake would stay in one piece. Lastly, let me show you my all time fav character because he looks the nicest among all the figurines!